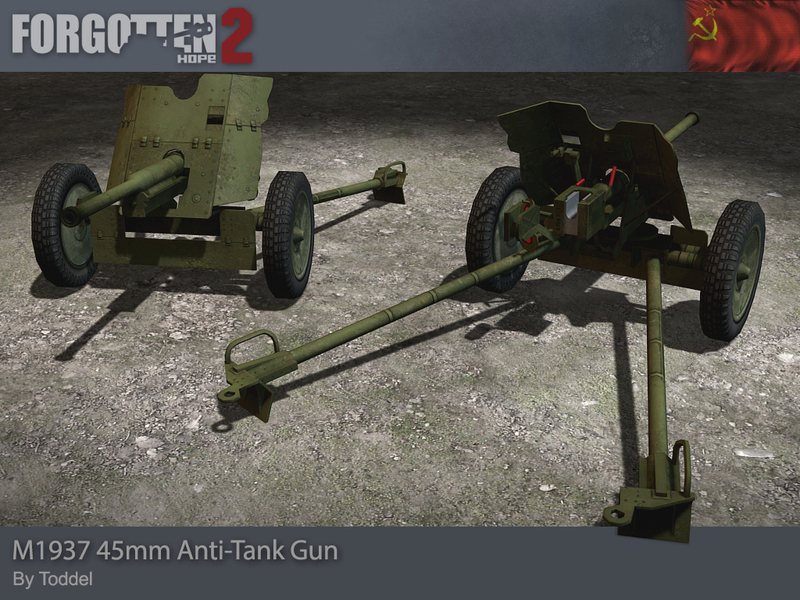 Today we have some renders of Soviet antitank equipment, as well as announcement by Forgotten Honor. Soviet engineers had lacked the experience needed to design an anti-tank gun in the late 20s, and had turned to the Germans for assistance. The company Rheinmetall had worked on what would eventually become the PaK 35/36 in secret, and the plans for this were provided to the USSR where it became the 37mm Anti-tank Gun M1930 (1-K). The first 45mm guns were a result of the desire for weapons that could use a more effective high explosive shell and thus double up as battalion guns. They were made from an updated 37mm carriage fitted with the new larger gun barrel. About equivalent in penetration to the Pak 35/36, the 45mm M1937 (53-K) was thus a rather poor weapon in the face of the larger panzers. The 45mm M1942 (M-42) was a result of these shortcomings. It had a longer barrel, more powerful cartridges and a new gunshield. Despite these additions, it still struggled with the improved panzers of the period, though it could deal some damage from the side. 37,354 M1937 guns and 10,843 M1942 guns were manufactured, and several hundred of the former were captured and turned against their former owners by Finland. 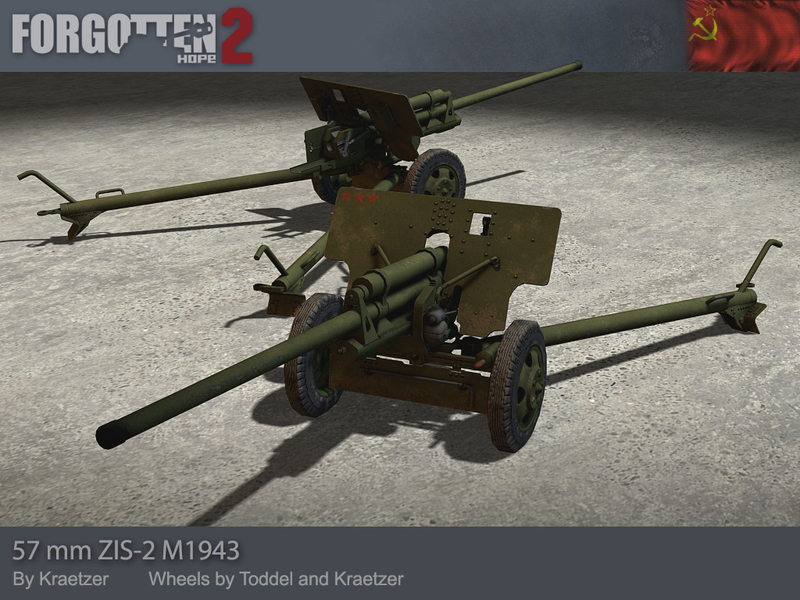 Our guns were made by Toddel, modified from the PaK 35.36 made by K98. 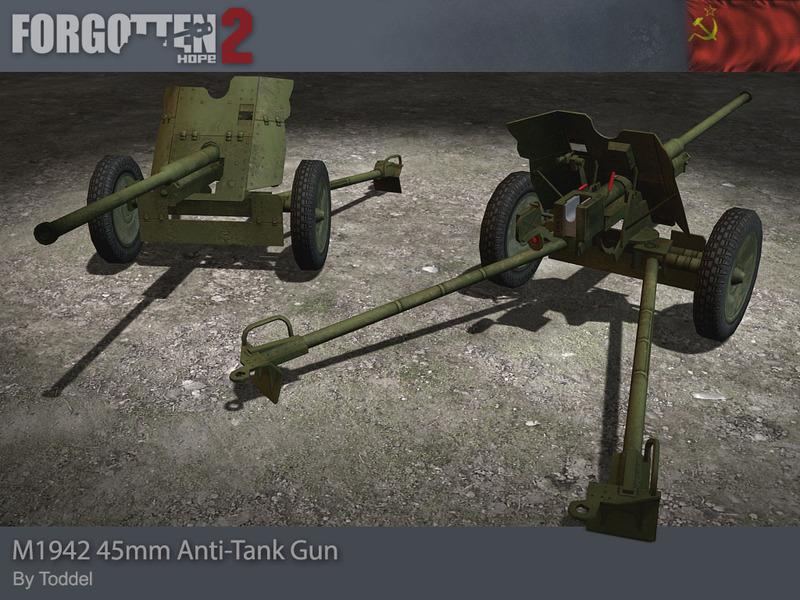 The 57mm Anti-tank Gun M1943 (ZiS-2) began life in 1940, with the demand for a powerful anti-tank weapon issued under the false assumption that the Germans would invade with heavy tanks on a par with the KV-1. It first entered service as the M1942, but was production was quickly stopped since it was overpowered, expensive and had complicated to manufacture ammunition. The production facilities were switch to the production of the 76.2mm Divisional Gun (ZiS-3). The appearance of the Tiger and Panther soon convinced the Soviets to restart manufacture of the 57mm gun, which re-entered service as the M1943. A limited number of guns were mounted on vehicles, principally the T-20 Komsomolets armoured tractor and as the T-34-57. 9,645 were manufactured, and ours was made by Kraetzer and Toddel. 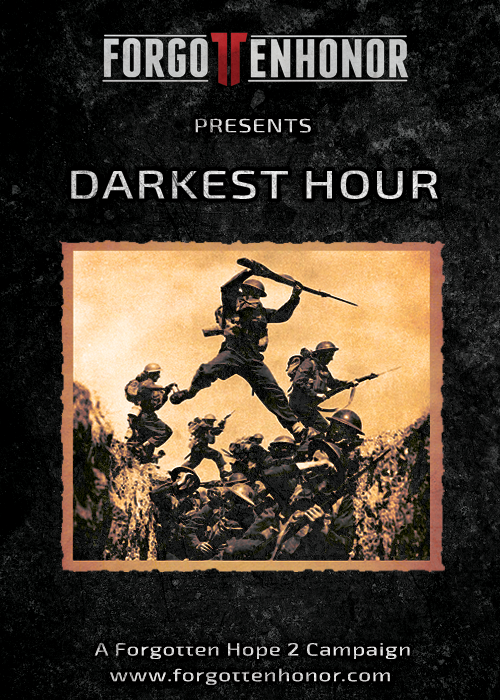 In this campaign you will fight on the Tunisian plains, between the bloody hedgerows of Normandy, in the ruined cities of France and Italy, through the mud and snow of the Ardennes region and onwards to the towns of broken Germany. From frantic fighting on the beaches and forests, ambushes among foxholes, to large scale engagements between tanks and airplanes. Our winners for this week's screenshot competition is Ts4EVER. You can view the winning submission here. We are now accepting entries for the week of April 20th. If you think you have the best FH2 screenshot, post them here.